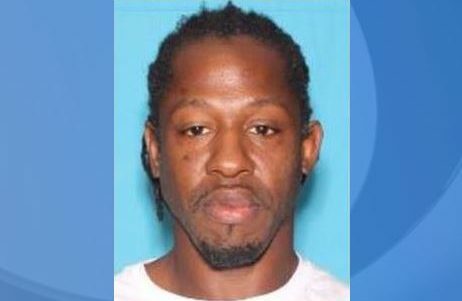 ORLANDO, Fla. (AP) – A suspect who is the focus of a manhunt following the fatal shooting of an Orlando police officer has a lengthy criminal record dating back two decades, and authorities had been searching for him in the weeks leading up to the sergeant’s killing for questioning in the slaying of his pregnant ex-girlfriend. Deputies had come close to catching 41-year-old Markeith Loyd but he had eluded them, and arrest warrants were being prepared for people who likely helped him, Orange County Sheriff Jerry Demings said. “There have been times when we just missed him. He has been able to avoid capture,” Demings said. As the third day of the manhunt for Loyd started Wednesday, authorities had raised the reward for information leading to his arrest from $60,000 to $100,000. Master Sgt. Debra Clayton was fatally shot Monday morning after she approached Loyd in the parking lot of a Wal-Mart store in northwest Orlando. Many of her colleagues immediately joined the pursuit; among them was a sheriff’s deputy who died when he was thrown from his motorcycle in an accident. “We will not identify you. We just need to know where he is so no one else is hurt,” Bergin said in a plea for more tips. Court documents show Loyd’s criminal record goes back two decades. He was arrested in 1996 on a murder charge that was later dropped. Loyd was arrested for battery on an officer in 1998 and sentenced to more than four years in prison. While behind bars, he pleaded guilty to cocaine possession from a prior case and was transferred to federal prison. Federal records show he was released in July 2014. More recently, his wife whom he is in the process of divorcing, had filed a request for a temporary injunction against him in 2015, and he followed with a similar request against her three days later. Both requests were eventually dismissed in court. He also had paternity suits from three different women filed against him. His Facebook profile had videos of him working out at a gym and hanging out at a nightclub. He said in a November post, “Goals!!!! To be on Americas (sic) most wanted,” followed by a series of laughing-with-tears emojis. Orange County Sheriff’s Office deputies in metro Orlando had been looking for Loyd since his pregnant ex-girlfriend, Sade Dixon, was killed last December. “Certainly it’s upsetting he was out and about and killed Debra Clayton, our first homicide in the city of Orlando this year, one of the officers protecting our community,” Orlando Police Chief John Mina said. A vigil was held for Clayton on Tuesday night, and in the Wal-Mart parking lot, shoppers laid more than two dozen bouquets of flowers, teddy bears and candles in a makeshift memorial. Some shoppers, like Hal Shore, stopped to say a prayer or take a photo. “It’s important that the country is aware that there is a war against police officers,” said Shore, a cabinet maker. An Orange County Sheriff’s Office deputy was killed more than two hours after Monday’s shooting when a van collided with his motorcycle as he responded to the manhunt. Demings described the 35-year-old Norman Lewis as “a gentle giant,” and the sheriff’s office said he had played football for the University of Central Florida before joining the agency 11 years ago. Funerals were planned for Lewis for Friday and Clayton for Saturday.